You can nominate the Cabra Senior Library Blog here. Look for the best Library/Librarian blog category. 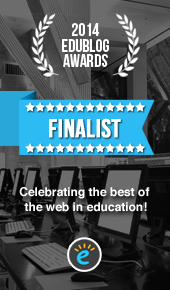 We have been fortunate enough to make the Edublog Awards shortlist for the last 3 years running. Let’s make it number 4! Nominations for the 2015 Edublogs Educational Blogging Awards have now opened. You have till Wednesday 2 December to nominate your favourite educational blogs in any or all of the following categories. Nominations are open from now through Wednesday, December 2nd. We have decided for 2015 to focus exclusively on blogs in education, so you may notice a few categories from previous years that aren’t included. This will allow us to spend more time reviewing all nominations for a more thorough voting round. Don’t forget to make your nominations here! The Cabra Library is now able to offer students and staff access to another excellent collection of reference information. It is called Research in Context Database and it offers comprehensive detailed information on just about every topic you could think of. You can access an incredible wealth of information on most topics and view or download these eBooks for later use in much the same way as the Gale Virtual Reference Database GVRL database. For a comprehensive set of guides on using this new research tool click here. The Research in Context Database covers the following broad subject areas: Click here for the full list. You will need a username and password to access the site, please ask your Homeroom Teacher for this. Access this resource and many others from the “Link Favourites” on the right hand side of our Access-It Library Catalogue. Today, March 17th is St. Patrick’s Day. So, just who was St. Patrick I hear you ask? Many folk ask the question ‘Why is the Shamrock the National Flower of Ireland ?’ The reason is that St. Patrick used it to explain the Holy Trinity to the pagans. Saint Patrick is believed to have been born in the late fourth century, and is often confused with Palladius, a bishop who was sent by Pope Celestine in 431 to be the first bishop to the Irish believers in Christ. Saint Patrick is most known for driving the snakes from Ireland. It is true there are no snakes in Ireland, but there probably never have been – the island was separated from the rest of the continent at the end of the Ice Age. As in many old pagan religions, serpent symbols were common and often worshipped. Driving the snakes from Ireland was probably symbolic of putting an end to that pagan practice. While not the first to bring christianity to Ireland, it is Patrick who is said to have encountered the Druids at Tara and abolished their pagan rites. The story holds that he converted the warrior chiefs and princes, baptizing them and thousands of their subjects in the “Holy Wells” that still bear this name. There are several accounts of Saint Patrick’s death. One says that Patrick died at Saul, Downpatrick, Ireland, on March 17, 460 A.D. His jawbone was preserved in a silver shrine and was often requested in times of childbirth, epileptic fits, and as a preservative against the “evil eye.” Another account says that St. Patrick ended his days at Glastonbury, England and was buried there. The Chapel of St. Patrick still exists as part of Glastonbury Abbey. 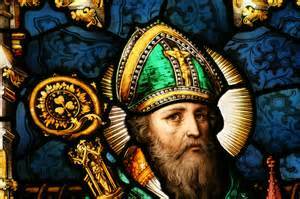 Today, many Catholic places of worship all around the world are named after St. Patrick, including cathedrals in New York and Dublin. People with Irish heritage the world over celebrate St. Patrick’s Day today, March 17. Some calculations place the total population of people with predominantly Irish ancestry at over 100 million people. That’s over 15 times the current population of Ireland which stood at 6.4 million in 2011. At last count (2011 Australian Census) there were over 2 million Australians reporting Irish Ancestry; that’s just over 10% of the total population and of this number a little over 12% were first generation Irish immigrants to Australia. Cabra Dominican College is of course intricately linked with Ireland through the founding Dominican Sisters. In 1868, at the invitation of the Bishop of Adelaide, seven Dominican sisters came to South Australia and opened a school for both boarders and day students in Franklin Street, Adelaide. In 1886, the boarders moved to a new school, the present Cabra Dominican College. The new site, now a busy suburban area, was then regarded as country, being a large area of bare, unoccupied land, somewhere to the south. Because the Sisters had come from Cabra, one of the leading educational establishments in Ireland, it was decided to call the new convent and school, Cabra. Read more of the Founding Sisters’ story here. Read St. Patrick in his own words here. This year’s theme is “Let’s create a better internet together”. Check out the links below for more Cyber-safety tips and tricks. You can nominate the Cabra Senior Library Blog here. Look for the best Library/Librarian blog category. Nominations for the 2014 Edublogs Educational Blogging Awards have now opened. You have till Monday 24 November to nominate your favourite educational blogs in any or all of the following categories. March 17th is St. Patrick’s Day. So, just who was St. Patrick anyway? Nominations for the 2013 Edublogs Educational Blogging Awards have now opened. You have till Sunday 1 December to nominate your favourite educational blogs in any or all of the following categories.